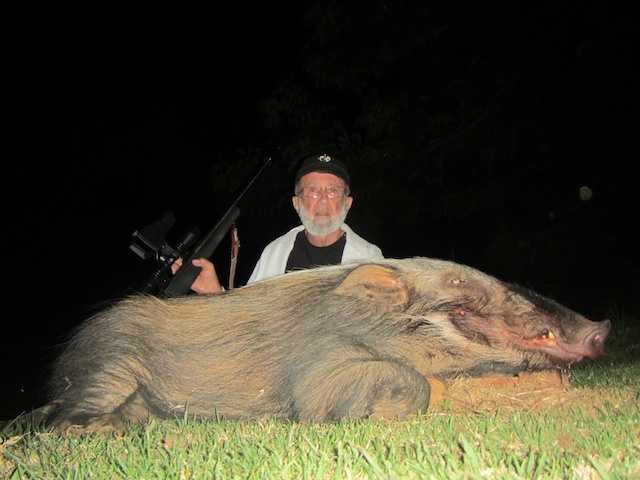 Uncle Joe had a quest for Bushpig, such was the desire to bag one of these elusive creatures that after 5 failed attempts, Joe boarded a Jet in a Business class seat all the way from the USA to come on a 5 day Bushpig specific hunt. Our no 1 Professional Hunter, Koos Moulder, had found a area where Bushpigs were in abundance and started a feeding spot. Once the Pigs had settled in nicely, I started sending Joe the trail cam pictures in order to keep the excitement there. 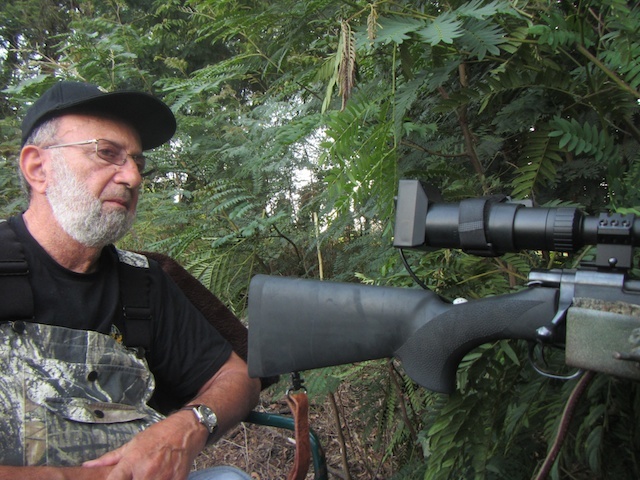 Joe arrived from his flight and the first night practised shooting with the night vision equipment that Koos had specifically bought for this purpose. The second night Murphy played up and the pigs just would not come all the way to the feed, and Koos decided to let them relax and eft the blind. Day 3 Joe had the opportunity that he waited for over a 5 year period. 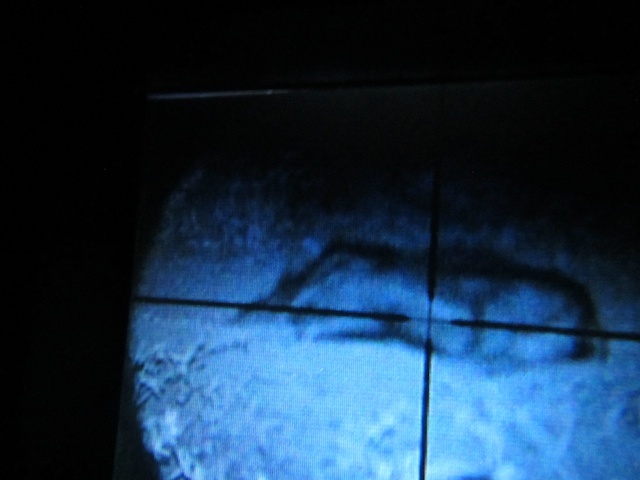 The night vision worked perfectly and Joe had his respectable Bushpig.